For those who have never once gone camping or have next to zero experience with blades of any type, Gerber is just the name of a prominent baby food manufacturer. Fortunately that Gerber isn’t the one being looked at today. Gerber Legendary Blades has been around in one form or another for over seven decades. over these years, knives manufactured by Gerber have been used in nearly every possible application ranging from kitchen cutlery, issued military equipment, wilderness survival, to EDC companions. They have run the gambit. However. . . Most multi-tools are not geared towards specific purposes. 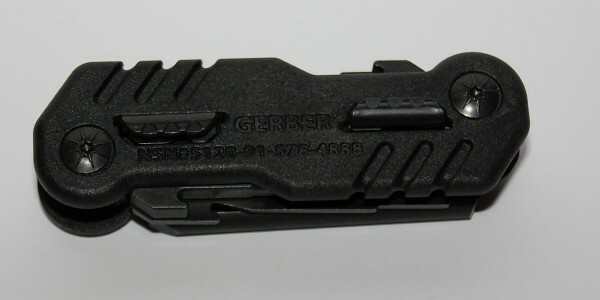 Despite being released into production over a year ago, the Gerber eFECT (yes that is the proper spelling and punctuation) seeks to fill the perceived gap for routine field maintenance of your AR15 rifle platform. The eFECT is a 113gr (4.0 oz) tool whose tools are blackened stainless steel and comes with a simple black, Molle compatible,Velcro closing, sheath. Sporting a compact size, 32mmx25mmx90mm (1.25″x1.0″x3.5″); the eFECT is very small when you compare it to many of today’s available multi-tools. Arm 1- The carbon scraper which is very robust and simple in design. A cylinder with 1/4 of the length removed for creating the scraping edges. Arm 2- A long pin punch to help disassemble your upper and lower halves of your AR platform. Arm 3- Tool attachment (Female threaded 8-32), complete with a nylon brush which is threaded into the aforementioned screw thread. Arm 4- Tool attachment (Female threaded 8-32). Only this one has a removable wire pick for cleaning the hard corners. Arm 5- Large flat screwdriver which doubles as a scraper. Arm 6- A mounting stud for a magnetically attached A1 & A2 front sight adjuster. All arms are lockable in the fully extended position via two short sliding lock mechanisms; arms 1-3 and arms 4-6 respectively. By locking an arm out, a solid working platform for that specific tool/attachment is created. The arms themselves are easily opened through the use of either a large finger nail hook or the shear physical size of the arms themselves. The eFECT was designed to fully interact with many Otis cleaning products as attachments to facilitate further care and maintenance of your AR series firearm. All of the eFECT’s arms and attachments allow for the care of a multitude of other black rifle platforms. Recently; Otis technologies had announced that they will be offering, in conjunction with Gerber Legendary Blades, a full cleaning kit which incorporates the eFECT with several additional Otis attachments. 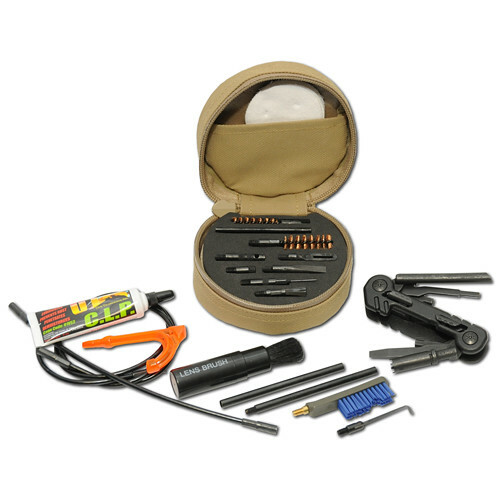 The Gerber eFECT weapons maintenance tool is available at Brownell’s for a retail price of $79.99 USD. The choice is as usual up to you, the reader. 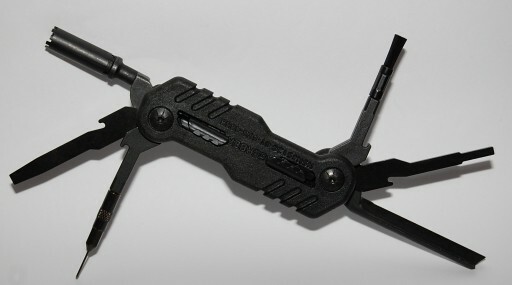 Is the Gerber eFECT weapon maintenance tool Tactical, Practical, or Fantastical? This entry was posted on April 13, 2011 by M. Duynhoven. It was filed under Blades and tools and was tagged with eFECT, Gerber, multi-tool.